The babies were born in the year of the dragon. 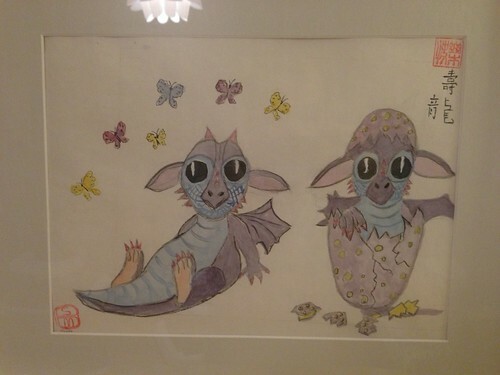 My mother commemorated this with a a Chinese brush painting of some baby dragons. This shows a tremendous amount of foresight as these dragons seem to mimic the babies. One baby came out with little fuss. The other wanted to stay inside his shell (i.e. mother's womb) indefinitely. 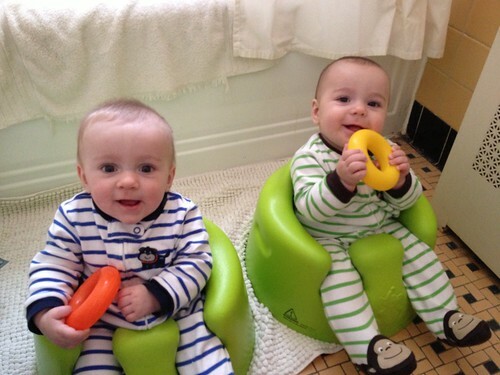 This hangs right over their changing table and they always seem to look fondly on this picture, particularly Elliott who is quite impressed with his own rebellious nature. While I was at work getting caught up after the blizzard Jen was left to care for the two sick babies. She reports that they seem to have turned a corner today. I hope she is correct. After a week or so with both of them being sick I could use with a little less snot, coughing, and fever in my life and theirs. Their regular trips to the sauna (our bathroom) seem to be helping. They took a series of naps today long enough to allow Jen to bake some muffins which was great news for me. We don't have enough room in the freezer for them so Jen suggested she take them to work. I told her that was a foolish idea. I am going to spend most of tonight trying to squeeze them in somehow. So begins the year of the snake. I was born in the year of the snake. It's much less cool than the dragon but equally as reptilian and untrustworthy. There aren't many trustworthy animals on the Chinese calendar so being stuck with a slimy serpent is the best you can hope for. Except for the horse. Horses are super trustworthy. 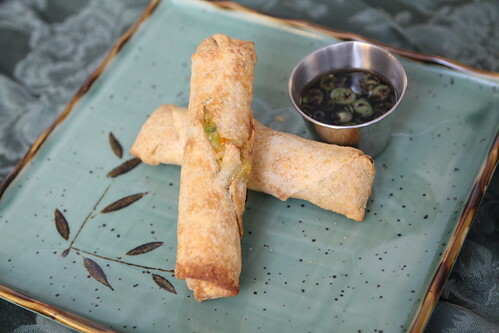 I made some egg rolls to signify the beginning of a sleazy snake year. 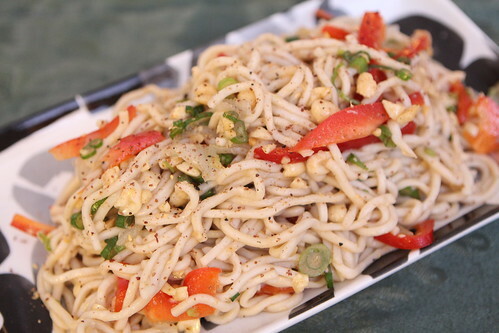 I also made this noodle salad with noodles, sesame oil, rice vinegar, soy sauce, red pepper, Chinese cabbage, Sichuan peppercorns, and green onion. 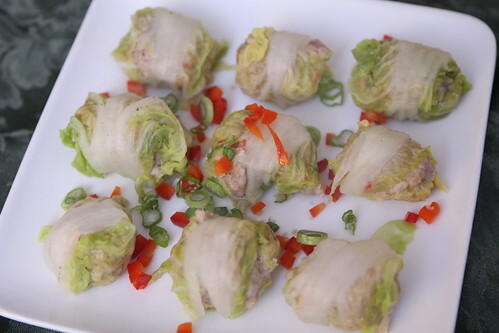 I also made these Chinese cabbage rolls with steamed cabbage leaves stuffed with a mixture of pork, egg, onion, red pepper, soy sauce, rice vinegar, bread crumbs, and hot sauce. 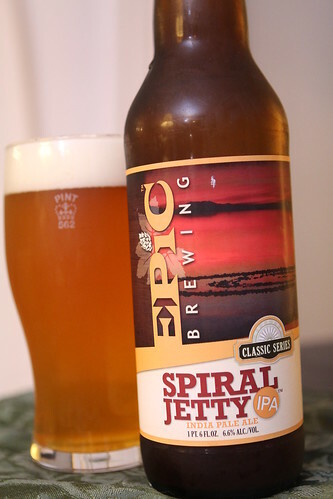 To ring in the year of the snake I poured this Spiral Jetty IPA from Epic Brewing. Jen got this on her most recent trip to Utah. It was a fantastic IPA with a wonderful grapefruit flavor. This was another winner from this newish brewery in Utah. The year of the dragon was a pretty good one. It brought us two dragon babies and a lot of lasting memories. Here's to hoping that this slimy, no good snake will be even half as good as the glorious mythical dragon.